Forrest Paper & Bridal is South Mississippi's number one retailer for wedding invitations and stationery. We are proud to offer a variety of print processes, including letterpress, thermography, foil stamping, and engraving to compliment our infinite supply of handmade and artisan papers. 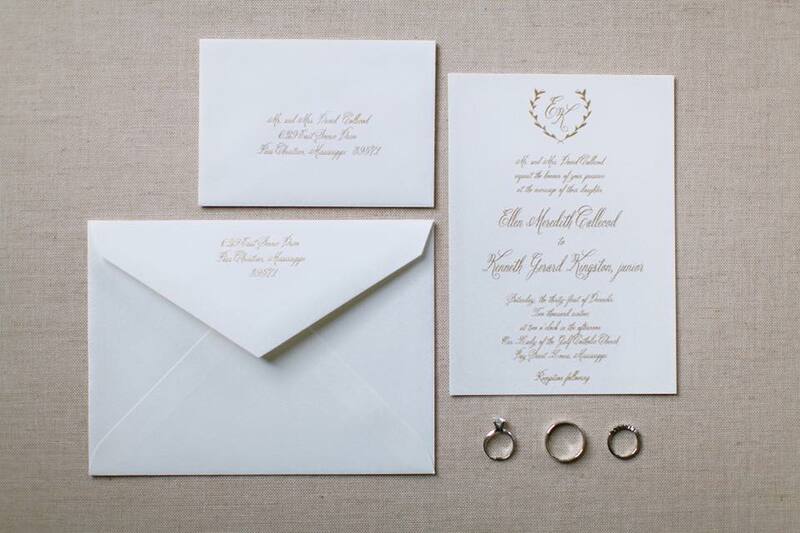 Whether you're looking for a very traditional wedding invitation or a completely custom suite, our designers will work with you to make sure your invitations perfectly match your personal style and budget, with favors, napkins, and custom stamps to match! 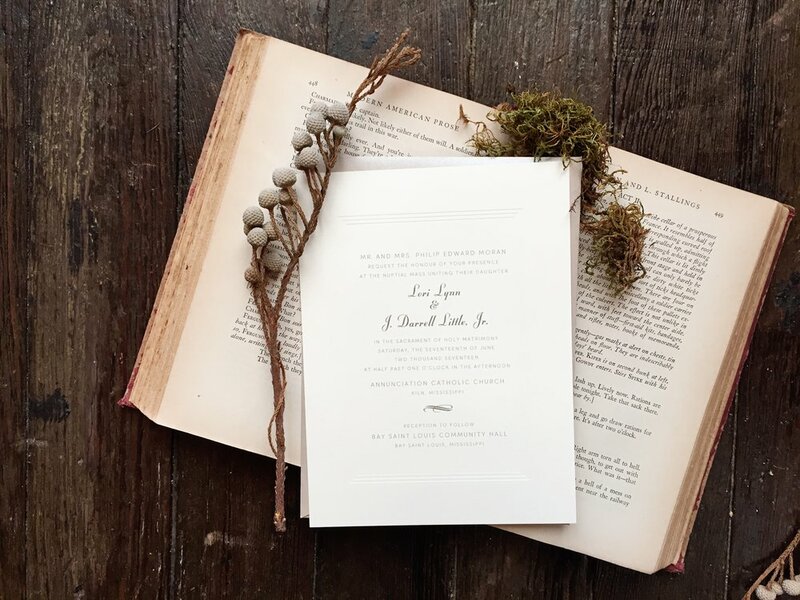 We always recommend ordering invitations for any event as soon as you have all of the details (date, venue, etc.) as production time can vary depending on what you order! For wedding invitations, we suggest no later than 3 months before your wedding. For all other invitations (baby shower, birthday parties, etc.) no later than 1 month before. What if I'm already past the deadline? If you're running behind on your invitation deadline, your options may be a little more limited, but we're still happy to help. Call or schedule an appointment online to find out what we can do for you! 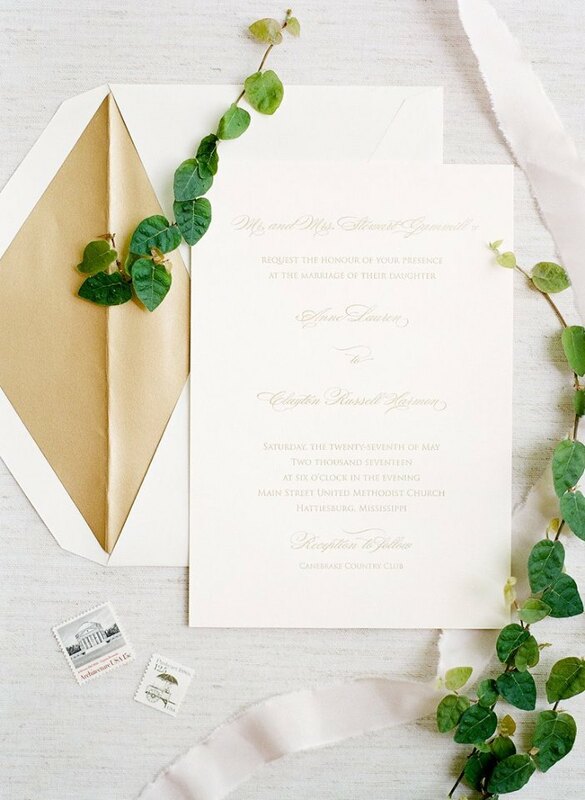 What kind of invitations can I get at Forrest Paper & Bridal Co.? Any kind of invitation you can dream up, we can make! Whether you want something classic and traditional, or a crazy contemporary design, our talented designers can help you create the perfect invitation for any occasion. Unfortunately, there is no set pricing on invitations. 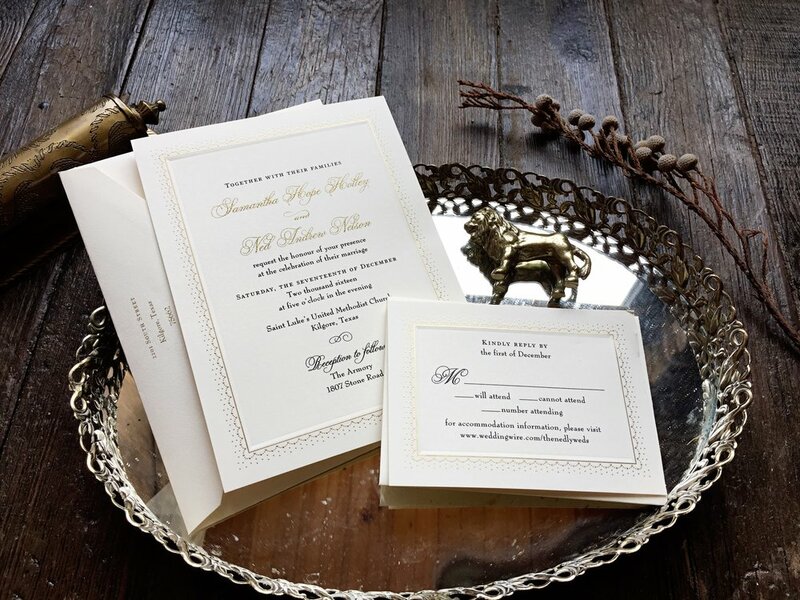 Invitations are priced based on a number of factors: type of paper used, amount of pieces in the suite, print process, single or double envelopes, plus a whole lot more. That said, we are happy to work with any budget and can always help you get the style you want at a price your wallet will be happy with! Do I get to see my invitations before they're produced? Yes, we always send a proof file for you to approve before we begin production. Your invitations will not be produced without your approval! Do I have to have an appointment to look at invitations? No! Unlike our bridal gowns, we do not require an appointment to look at invitations for any event. What can you do besides invitations?